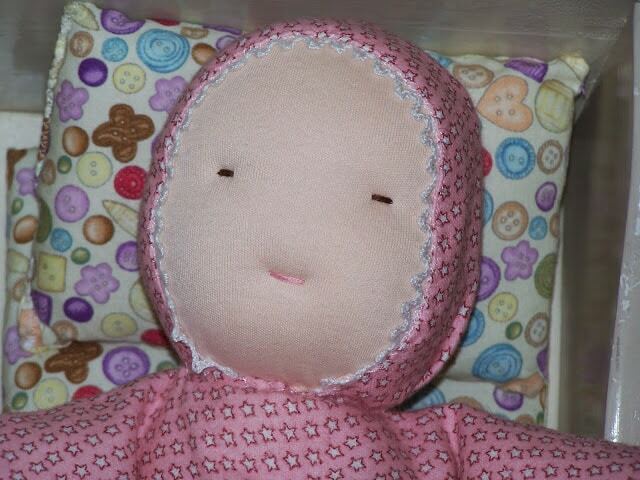 I recently finished this little Waldorf-style doll for my daughter. She was so excited when she saw me making it. It only took three days to finish…I made the head while we were driving out of town, and I finished the rest while Baby napped. It was really fun to make, and it’s so soft and warm, as it’s stuffed with wool. I forgot that I was going to add color to the cheeks before I took this photo. 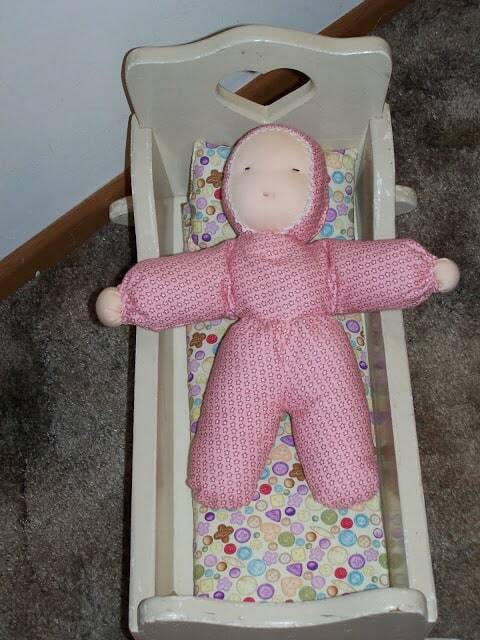 I made the doll bed pad and pillow a few years back. I just love making things for our children! 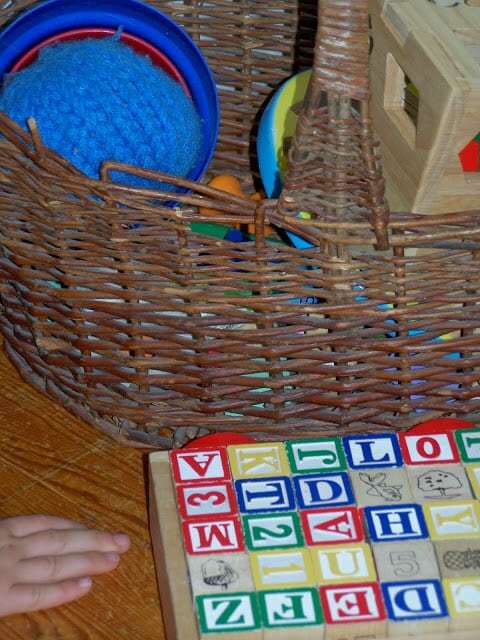 I love toys made with natural materials. 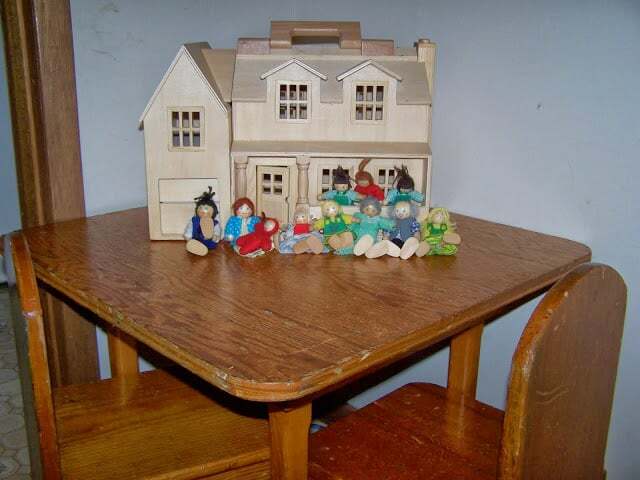 We have plastic toys, too, but I prefer the ones made out of wood and wool and cloth. Especially when they’re handmade!